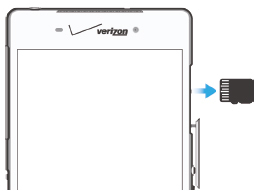 Open the microSD card slot cover (located on the right edge of the device). Carefully push the card inward to release it from the slot then remove. Close the microSD card slot cover.